Driving east of central Phoenix, you’ll come to the community of Apache Junction, part of the Greater Phoenix Metropolitan Area. This city of roughly 34 square miles was named for the junction of the Apache Trail and U.S. Route 60. It stretches across parts of both Maricopa and Pinal Counties. 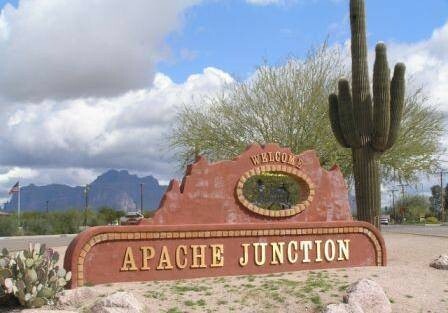 Incorporated as a city in 1978, Apache Junction is home to some 36,000 people. The Superstition Mountains are located to the east, alongside the Goldfield Mountains to the north. The city of Mesa is located just to the west of Apache Junction. A popular tourist attraction in Apache junction is the ghost town of Goldfield. This was a mining community established next to Superstition Mountain in 1893. The area eventually became a ghost town after the mine failed, while various historic buildings have remained to this day. Also nearby, the Superstition Mountain Museum features studio sets and other Western paraphernalia that were saved from a major fire in 1969. Drivers in Apache Junction can trust their auto repair needs to the local professionals at Mercie J Auto Care. Our team provides efficient, high-quality auto repairs and service for the life of your car. Pay us a visit and discover what our experience can do for you. We’ll have you back on the road before you know it, enjoying everything Apache Junction has to offer.